Beavers are only allowed to stay away from home for one night. This is why our sleepovers are quite short. When they move on to Cubs there is a lot more scope to do longer camps. Any sleepover has to have a trained permit holder in charge. At 1st Emmbrook, both Jessamy and Liz hold these permits and can, therefore, run sleepovers. There will also be a trained first aider on the team. Permits and first aid certificates have to be renewed at regular intervals. We are aware that some children of this age may still wet the bed at night. This is not a problem and we are happy for them to come on any sleepover but please come and speak to us about it first. Similarly, if you are worried about any other personal issues your child may have, please come and speak to us first, there isn’t much we can’t get around so long as we are forewarned! 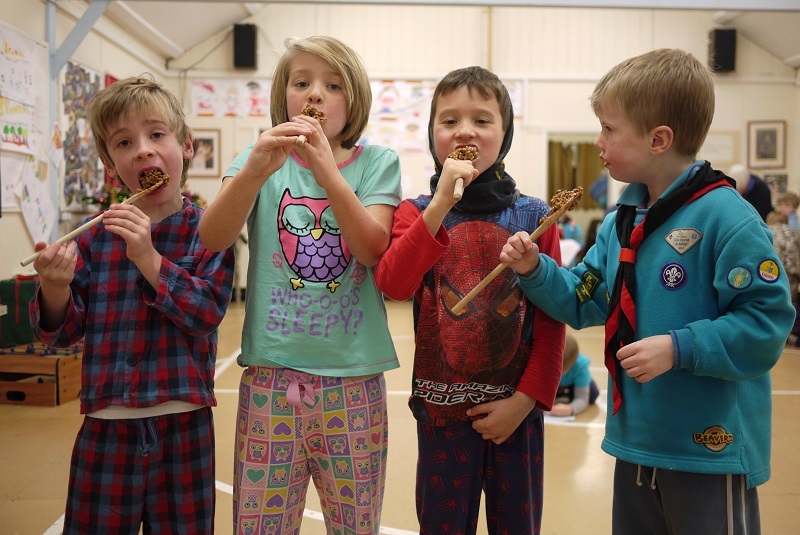 Permission to Camp forms will be issued before any camp and no Beaver can attend a sleepover unless this has been completed and returned by their responsible adult. This gives details of the sleepover (time, venue etc), records contact details for parents and guardians. It is important that the adult for whom we have contact details is contactable at all times (including in the middle of the night! ), can reach the sleepover venue in 20 minutes or thereabouts and is sober enough to drive! The form also gives permission for a leader to consent to medical intervention in the event of an emergency. The name and telephone number of the Home Contact is also on this form. This is a named adult who will be on call for the duration of the sleepover to take calls from parents or guardians who need to contact the camp in an emergency. They also have contact details for all parents of children on the activity and will call parents to relay information from the camp (such as a change in pick up time) if the need arises. This takes the pressure off leaders who are then free to deal with whatever situation has arisen at the camp. Attached is a typical Activity and Sleepover Permission Form.